Elegant Queen Anne styling is embodied in our Amish Rockingham Formal Dining Table with its unique, arching trestle base and understated edge profile. This lovely Rockingham Formal Dining Table has a modern touch of formality, while emanating warmth and welcome to your friends and family. 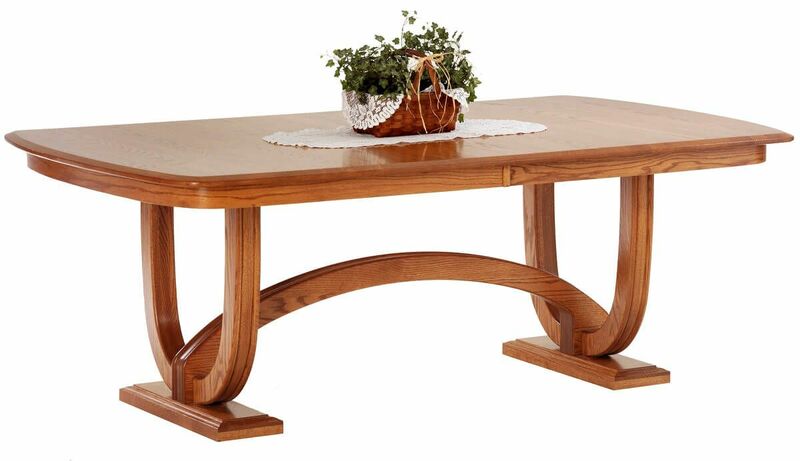 Expert Amish artisans construct each formal Amish dining table from solid hardwood and top it with a catalyst finish to ensure beauty and longevity. A solid 1" table top opens effortlessly on gear driven slides to accept expansion leaves. Add up to four leaves to create an expansive dining table for 12. 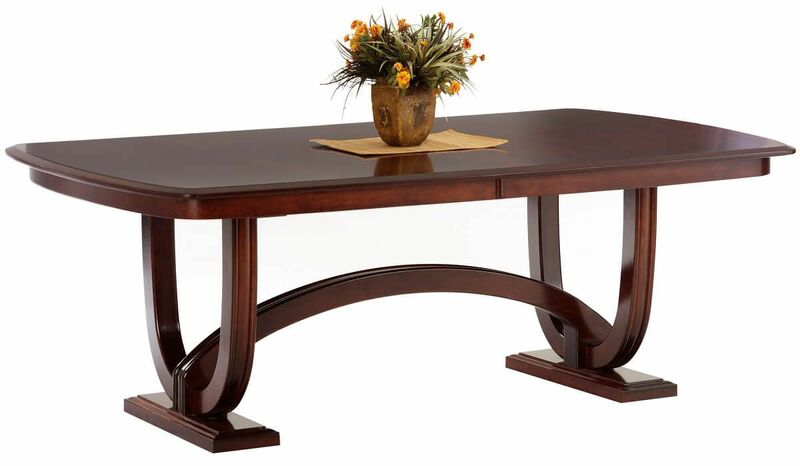 Enjoy a solid wood dining table that is built to last a lifetime. Shown in both Cherry and Oak, your Rockingham Formal Dining Table is available in various hardwoods and stains to coordinate with your surroundings. Pair your trestle table with matching Rockingham Chairs to complete your Queen Anne-inspired dining collection. *Floor to apron clearance is 26" 1/4"H.